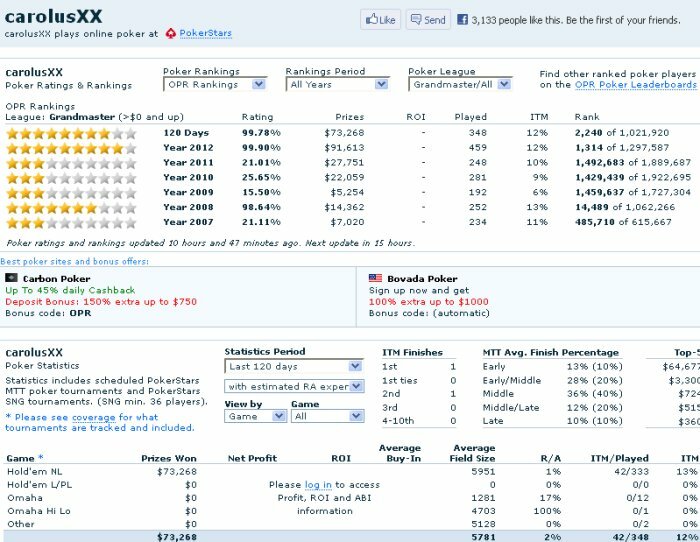 Official Poker Rankings (OPR) does exactly what you would expect: It ranks all online tournament poker players in a giant database that you can search or sort. While Official Poker Rankings (OPR) does its job, and has a massive database that is fairly easy to use, it only covers four sites or networks, leaving out a large percentage of online play. If you are playing on PokerStars, PartyPoker, or bwin, then you can find stats on your opponents or look up yourself to find out how you are doing. If you play anywhere else, you are out of luck.